Several witnesses have told investigators that former oligarch Mikhail Khodorkovsky played a crucial role in the 1998 assassination of a Siberian city’s mayor, a defense attorney has said. “All the witnesses who testified against him are currently in custody. They say that they heard from someone that without my client’s participation this crime would never take place,” RIA Novosti quoted Khodorkovsky’s state-appointed defense lawyer as saying Wednesday. The lawyer spoke in the Moscow City Court, which was looking into her request to cancel the previous ruling that ordered Khodorkovsky’s arrest. In late December, Russian investigators officially charged the ex-tycoon in the criminal case that was opened after the murder of Vladimir Petukhov, the mayor of Neftyugansk, who came into conflict with Yukos stakeholders and managers and was killed on June 26, 1998 – Khodorkovsky’s birthday. The charges of conspiracy to murder two or more people potentially carry a life sentence in Russia. The defense attorney also told the court that the witnesses’ words could not be considered a direct proof of her client’s involvement in crime and asked the judge to cancel the arrest warrant and take Khodorkovsky off the wanted list. She added that he was neither hiding from investigators nor obstructing the probe. “He will not visit the investigators because he considers himself not guilty,” the lawyer told the court. However, Prosecutor Valery Lakhtin countered this argument with a statement that a powerful and rich man such as Khodorkovsky could hinder justice if he remained at large. “If he is not taken into custody, Khodorkovsky can pressure witnesses into refusing to testify or giving false evidence. He can destroy forensic evidence or in some other way hamper the investigation process,” RIA Novosti quoted the prosecutor as saying. The judge agreed with the prosecutor and declared the decision to order Mikhail Khodorkovsky's arrest in absentia legal. 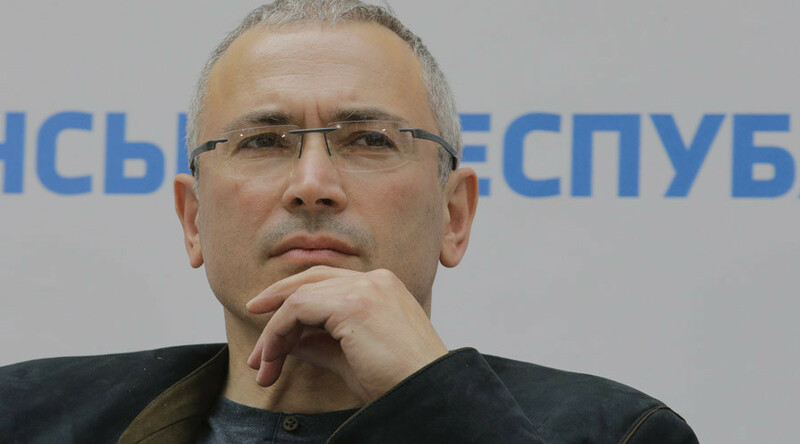 On Tuesday, TASS quoted a source close to the investigators as saying that the probe into Khodorkovsky’s possible complicity in Petukhov’s assassination had been prolonged until July 30. Khodorkovsky’s spokesperson Kulle Pispanen has neither confirmed nor refuted this information, saying that her boss had not received any official warrants and did not maintain contact with the defense team.